I invite you to renew your LLAM membership and to also complete the 2018-2019 LLAM Membership Interest Survey. Your continued support of LLAM makes it possible for LLAM to continue providing benefits for our members. Completing the LLAM Membership Interest Survey helps us plan programs for the upcoming year. Membership dues may be paid online or by check. If paying by check, send a check made payable to “LLAM” to Patricia Behles, University of Baltimore Law Library, 1401 N. Charles St., Baltimore, MD 21201. Regardless of payment method, please complete the LLAM membership form and mail the form with your check or email the completed form (scans are also acceptable) to our membership co-chair, Pat Behles. I look forward to seeing you this year. 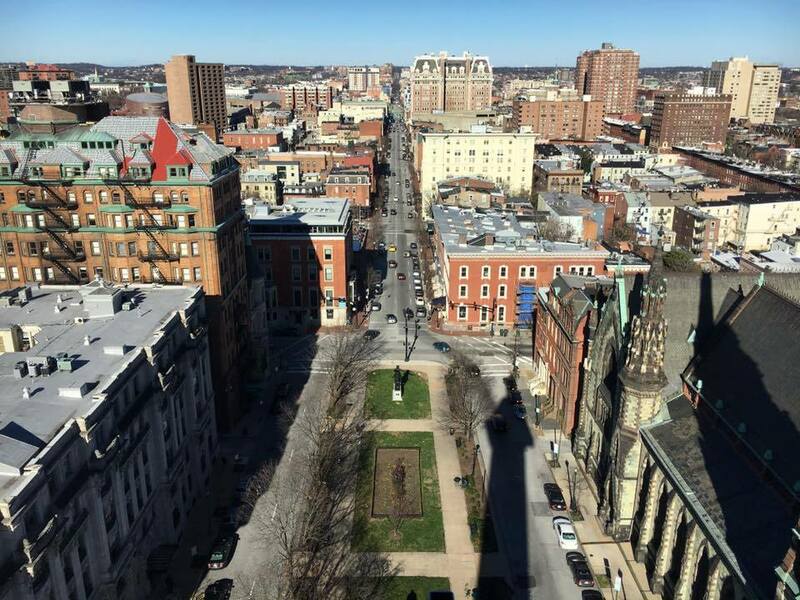 Thursday, May 19, 2016, 4:00-7:00 p.m.
4:00-5:00 p.m. – Visit Baltimore’s Mount Vernon Place and walk to the top of the newly renovated Washington Monument for breathtaking views. RSVP required if you want an opportunity to climb to the top! More information on the climb can be found at: https://mvpconservancy.showare.com/ . 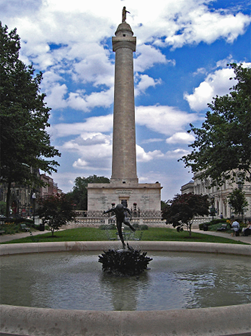 For directions and parking information to Mount Vernon Place and the Washington Monument, visit: http://mvpconservancy.org/parking-directions/ . 5:00-7:00 p.m. – Once the monument closes (at 5pm) head on down to Spirits of Mount Vernon (address below) for a fabulous reception. There will be wines specially selected for LLAM and snacks for every palette. The cost for this event is $12. For directions and parking to Spirits of Mount Vernon, visit: http://spiritsofmtvernon.com/930486.html . Congratulations to our new LLAM Board for 2016 – 2017! The new Board members will assume their duties at the conclusion of the LLAM Spring Fling event, which will be held in May. Special thanks to Kate Martin for arranging our election! LLAM is offering a grant to cover the cost of registration for the AALL Annual Meeting and Conference, July 16-19, 2016, in Chicago. Priority will be given to individuals who are not previous grant recipients, who have not recently attended the AALL Annual Meeting, and who are active members of LLAM. Grant recipient will write a 250-500 word blog post summarizing and commenting on a program or activity that was especially valuable during the conference. Deadline for submission: All applications must be received no later than Friday, April 22. To apply for the grant, please fill out the application below. You must be a member of LLAM and AALL at the time of application to qualify for the LLAM grant. In 2015, our LLAM Secretary received a notice from the AALL Bylaws and Resolutions Committee that LLAM was required to amend its Bylaws to include “gender identity” in its anti-discrimination clause. The Committee also sent a list of suggested (and very helpful) edits to the Bylaws that would increase clarity and eliminate confusion. Some of the suggested changes were stylistic, and others were substantive. •	Article IV, Section 3 has been amended to establish a quorum for member meetings. (A quorum for Board meetings is four, as described in Article VII, Section 5.) I listed the quorum as ten persons. I have amended Article IV, Section 3 and 4, and Article VII, Section 5, to allow persons attending meetings remotely (for example, by conference call) to serve as part of a quorum and to vote. •	The anti-discrimination clause in Article XI has been amended to include gender identity. Our LLAM Secretary will distribute an electronic ballot to LLAM members in one month to vote to approve the proposed revised LLAM Bylaws.